It was the first ever Adults only certified film to come out of Pakistan. Not only that, the Pakistani Censor Board clamped down on some of the dance numbers, shocked at the breast movements of some of the female dancers, which they thought was pure filth. Thankfully however, Zinda Laash not only managed to get past these hurdles and become a huge hit at the box-office – the A certificate bringing in inquisitive audiences in droves – but has since also gone on to become a cult classic. Not just as a fine horror film but also as one of the best ever films to come out of Pakistan. In terms of filmmaking, the praise is more than justified. While almost all Pakistani films down the years suffer from some terribly tacky filmmaking, Zinda Laash easily comes across as one of the few well-made films that I have seen from across the border. The highly effective use of chiaroscuro by cinematographers Raza Mir, Nabi Ahmed and Irshad and a suitably moody background score ensure the film’s suitably eerie disposition. What’s more, the film clearly believes in less is more. Even as Zinda Laash evokes a menacing-for-its-time atmosphere by playing around with some highly symbolic visuals, cobwebs and other horror props, it mostly keeps the blood and gore out of the frame. This coupled with the low-key expressionist lighting scheme makes for far more rewarding viewing, as the violence is mostly left to the viewer’s imagination instead of playing out in front of him in an obvious manner. 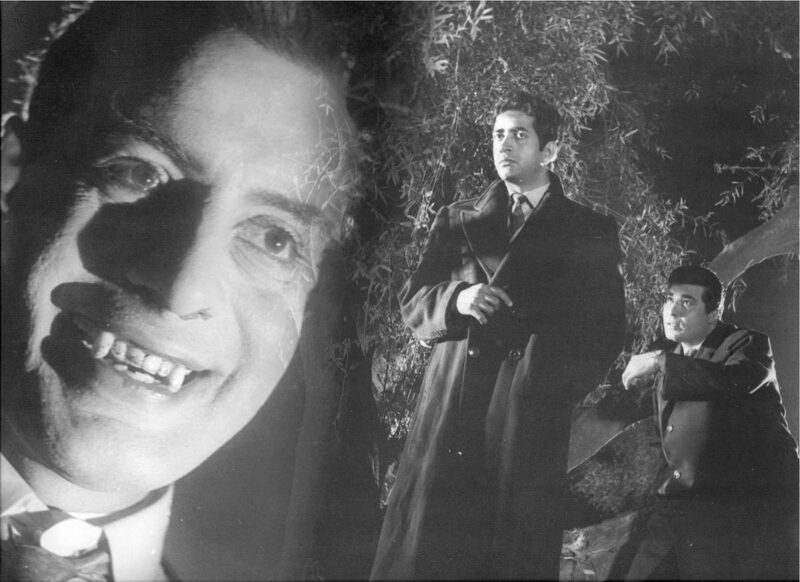 Perhaps it helped that the reference point for the film was the well-known Hammer production, House Of Dracula (1958) with the iconic Christopher Lee as Count Dracula. Ironically, Zinda Laash was not a film director Khwaja Sarfraz wanted to make. He was certain that the Pakistani audience was not ready for something like this and that a film of this type had no chance at the box-office. However, he was stuck as Habib, actor-producer of the film and technically its lead man – since Dracula/Tabani is the ‘villain’ – was a close friend and Sarfraz was finding to difficult to say no to him. Finally he laid out three conditions – the choice of the cinematographer, the background music composer and the choice of sets and locations would be his. A delighted Habib readily agreed to all his terms and the film was on. While one has no issues with the film’s technicalities, Zinda Laash does have a rather dated feel in several places and also some serious script issues. While the sequences within Tabani’s house are riveting, the film fails to engage as nicely when outside and for all its supposed modernity with sequences set inside Pakistani nightclubs, it appears rather conservative in its treatment of the good v/s bad elements of the story. The songs too appear out of nowhere and hinder rather then aid the plot, doing little for the film’s narrative. The two club songs, though, do have some surprisingly aesthetic and sensual choreography in them that unsurprisingly invited the censor’s wrath. Another place where Zinda Laash does slip in a bit of a surprise is in its treatment of women who become Tabani’s victims. For one, they are largely willing to be his victims; they calmly lie back, close their eyes and let him bite them. They subsequently appear disheveled and uninterested in children or domestic life after his ‘visits’ and, in fact, wait for them eagerly. In terms of performances, Rehan, the unanimous choice for Tabani’s role for both Habib and Sarfraz, is absolutely perfect as the caped prince of darkness and dominates the film. Of the rest, Habib is fine while Nasreen is particularly noteworthy as Rehan’s first victim after he becomes a vampire. 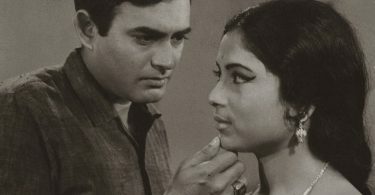 Following it’s success at the time of its release, Zinda Laash‘s print was thought to be lost forever. However, thanks to the persevering efforts of Pakistani filmmaker Omar Ali Khan – also perhaps the film’s greatest admirer – the film’s negatives, thought to have been washed away in the floods of 1996, were discovered in rusty cans at Evernew Studios in Pakistan. Khan worked on getting the film restored and oversaw the release of a good quality DVD of the film thanks to which it enjoys a renewed interest among current audiences and continues to build on its formidable reputation even today.